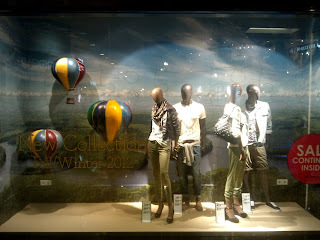 The newest Pull and Bear window display might remind us with last year Louis Vuitton's that featured hot air balloon. Now, the balloons are flying on top of giant images of a river (may be Amazon). 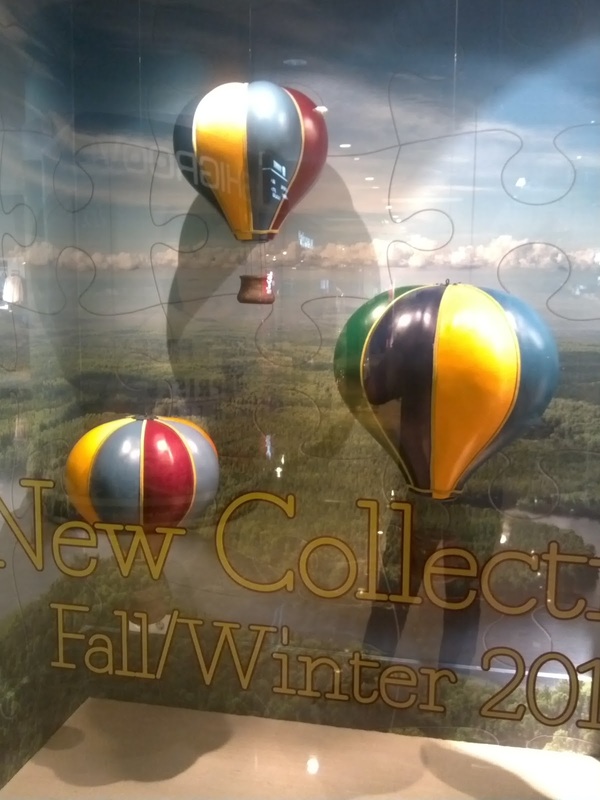 This image are so unique since it is actually a giant puzzle if you observe it from short distance. There are no special thing with the mannequin though.